Plans to create an improved transport interchange at Motherwell railway station were approved by the Glasgow City Region Cabinet last week. The £3.5 million Glasgow City Region City Deal funding sought will contribute to a wider project that will see North Lanarkshire Council working alongside ScotRail Alliance and SPT. The City Region investment will see an interchange centre developed for bus, train and bike transport in front of the existing railway station, which will coordinate with ScotRail Alliance’s previously reported investment in the station itself. This will include an expanded bus facility on Muir Street; new arrangements for taxis, car drop-offs and disabled parking adjacent to the station; a reconfigured station forecourt; pedestrian and cycle network improvements; and expansion of the park and ride at Farm Street and additional parking at Pollock Street car park. 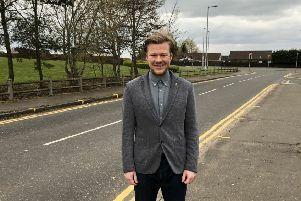 Overall, the project aims to make it easier to use public transport and improve links between bus and train services and the plans include capacity for potential increased bus services to and from Ravenscraig as the site is developed in future. ScotRail Alliance transport integration manager Desmond Bradley added: “We recognise the need for investment at Motherwell as it’s an important rail hub and interchange station.